Elizondo recently starred in “Tortilla Soup,” an English-language film based on Ang Lee’s romantic comedy, “Eat Drink Man Woman” for Samuel Goldwyn Pictures. Elizondo’s character is ‘Martin,’ a Mexican-American master chef who is the father of three grown daughters, all of whom still live at home. Using food and elaborate meals as one method of keeping his daughters from moving out, regardless of their desires to get married, move to Spain and go to college, ‘Martin’ is the cornerstone of his family. Directed by Mafia Ripoll and produced by John Bard Manulis, the film garnered rave reviews. In addition, Elizondo was also be seen in theaters starring alongside Julie Andrews and newcomer Anne Hathaway in the Gary Marshall film, “The Princess Diaries” for Disney. Based on the children’s book, Diaries, Hathaway stars as ‘Mia,’ a Bay Area teen whose social life is turned upside-down when she discovers she’s the heir to the throne of a kingdom in Europe called Genovia. Julie Andrews portrays ‘Queen Clarice’ of Genovia while Elizondo is ‘Joseph,’ the Queen’s head of security and ‘Mia’s’ bodyguard. A native New Yorker, Elizondo first gained recognition on the New York stage for his portrayal of ‘God’ in “Steambath,” which earned him an Obie Award. High praise followed for his Broadway roles in Neil Simon’s “Prisoner of Second Avenue,” “The Great White Hope,” “Sly Fox,” for which he received a Drama Desk Award nomination, and the critically acclaimed Broadway revival of Arthur Miller’s “The Price,” alongside Eli Wallach at the Roundabout Theatre. Hector has also done many voice-overs, most recently in Ken Bum’s critically acclaimed PBS documentary series, “The West” and served as the host of the CBS special, “Mysterious Man of the Shroud.” Elizondo is especially proud of his involvement in the prestigious LA Theatre Works, a group of 40 top actors who are devoting their time and talent to reinstating classic radio drama as a contemporary art form for National Public Radio (N.P.R.). Do you want to hire Hector Elizondo? Directly request a quote. 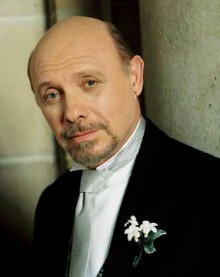 In 48 hours we can send you the availability of Hector Elizondo If you would like to book Hector Elizondo, Entertainment Booking Agency is the right place. We will offer you the best price and contact the management or we directly contact Hector Elizondo. For corporate appearances or speaking engagements you can contact our agents and the will help you true the process. Tags: hire Hector Elizondo, Hector Elizondo booking, book Hector Elizondo, Hector Elizondo appearances, find more information on booking Hector Elizondo for appearances, Hector Elizondo speaking engagements, Hector Elizondo endorsements/spokesperson, Hector Elizondo appearance fees, Hector Elizondo booking agency contact info, biography of Hector Elizondo, Contact an artist booking talent agent find a speakers bureau that can book Hector Elizondo, speaker booking agency for Hector Elizondo, Hector Elizondo booking agency, Hector Elizondo booking for corporate event. EBA is one of the biggest entertainment booking agencies in the World. We book hundreds of celebrities, artist, athletes and speakers in a year. Important to know is that we are not claiming to be the management of Hector Elizondo. We are not the official agent for Hector Elizondo. Companies from around the globe book these artists and speakers true our company be course we have one of the biggest networks and we always have direct contact with the artist or the management. We help you to find the right celebrities for your corporate of private events. Please contact one of our agents to get free advice and we will help to get the world-famous artist on your party.